and unprecedentedvigour. It witnessed a footfall of participation of more than 120students from the almost 25 different colleges of Punjab.In this mega event, the various activities like Photography, PPT, Painting and Landscaping, Slogan Writing, Poetical Symposium, Rangoli, Folk Song, Skit, Group Dance and Ethnic Ramp Walk were performed. 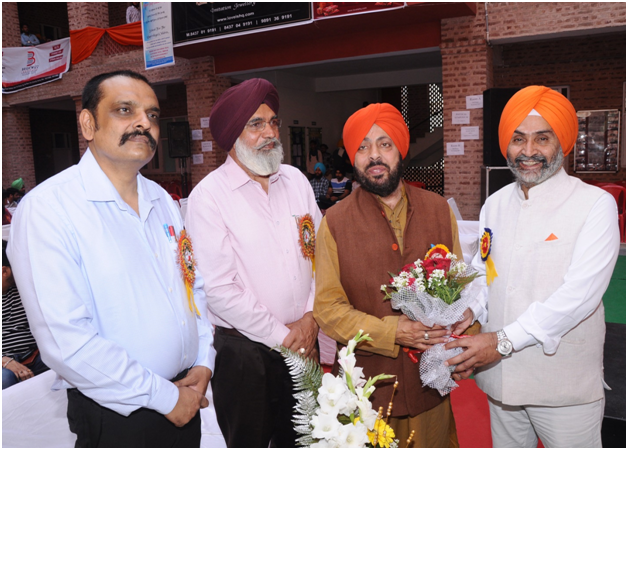 D.A.V College, Amritsar was the overall winner of this festival and received its Overall Champion Trophy and Hindu College, Amritsar won First Runner Up Trophy. MrsLatikaArora, Ms. DaljitArora (Punjabi Screen Magazine), Mr.TarlochanTochi, Mrs. Shivani,Mr.Vinay Joshi, MrsSanjana Joshi, MrkamalMajorwal,Ms Raj Jannat, Mrs. SujataSharma,Mrs. KavitaHanda, Mr. Bobby Handa and S.GurinderSingh . 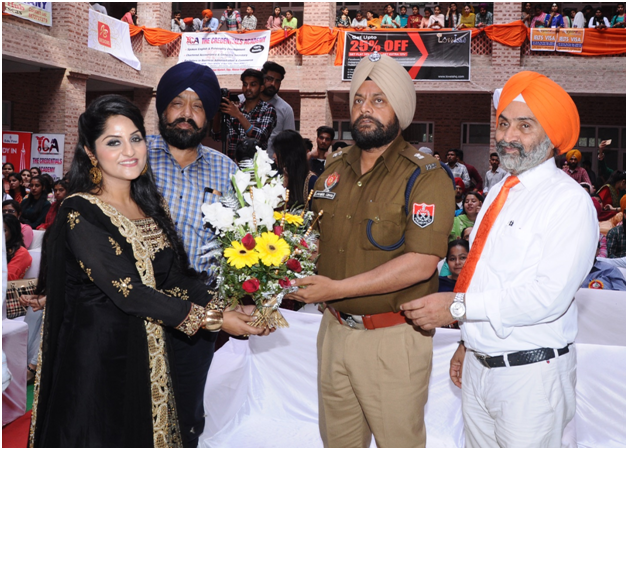 ADCP Lakhbir Singh (Security & operations Punjab Police)was the Chief Guest of the Valedictory Session for prize distribution and the guest of honours were Dr. VikramSandhu(Assistant professor)UBS,GNDU,Colonel H.S.Gill, LaachiBawa& Glory Bawa (Renowned Punjabi Singers), Dr. GayatriShoor (Gynocologist, Shoor Hospital), Ms. Supnandan (PCS Officer) (Excise & Taxation), Dr. GauravBhandari(New Bhandari Hospital), Moreover, the valuable advice and innovative ideas provided by Dr. A.K. 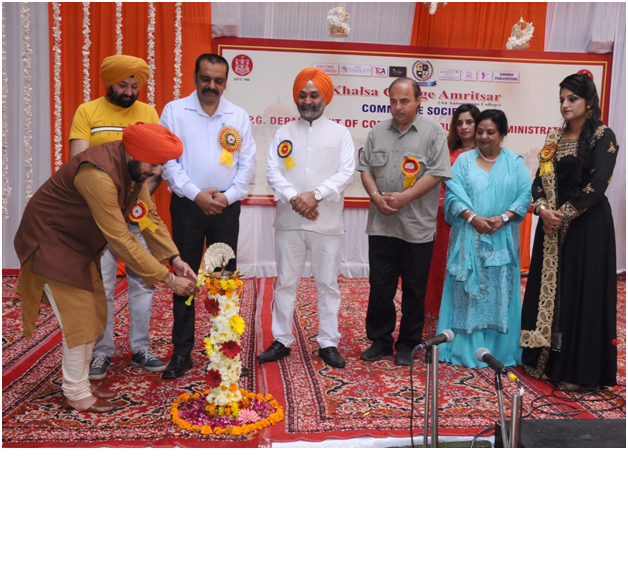 Kahlon, Dr. Avtar Singh, Dr. SawrajKaur, Dr. Deepak Devgan, Dr. PoonamSharma, Dr. NidhiSabharwal, Prof.
Meenu Chopra, Prof. Prof. SukhdeepKaur, Prof. Sakshi Sharma,. Prof. ShikhaChaudhary, Prof. ManishaBehal, Dr. Shivani Nischal,Dr. 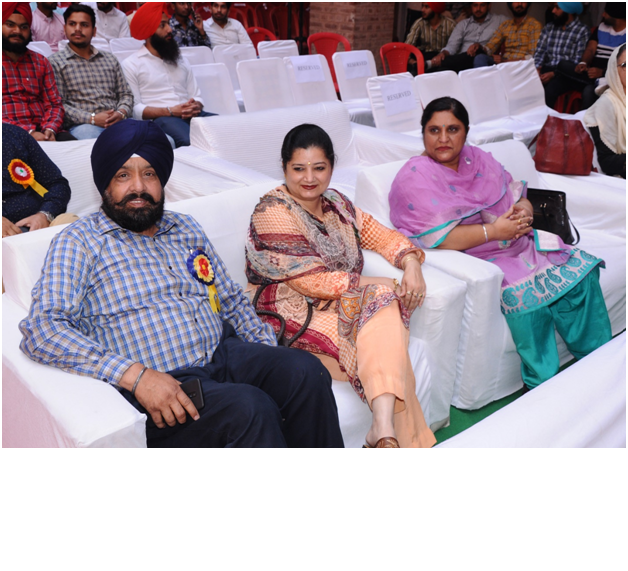 Megha,Dr.KomalNarang, Prof. PoojaPuri, Prof.Hartejpreet Singh,Dr.Samiya and Prof.RavijotKaur contributed to this event. This event proved a grand success of the department with the presence of eminent personalities.